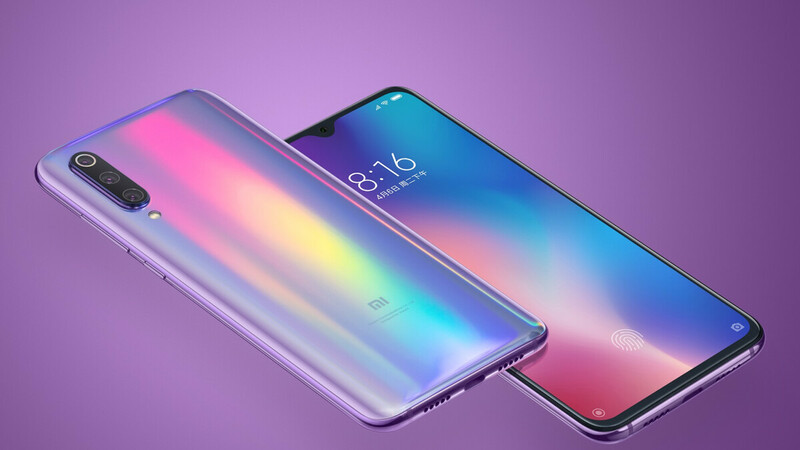 The Xiaomi Mi 9 has been the subject of official teasers for the past few weeks but today the highly-anticipated flagship has finally been revealed in its entirety alongside a special Transparent Edition model. Over the years Xiaomi has received its fair share of criticism due to its copycat designs. Recently, however, the company has been differentiating its devices from the competition and the Xiaomi Mi 9 appears to be no exception. Taking a look at the smartphone’s rear, the Xiaomi Mi 9 utilizes a new glass panel that boasts subtle curves along its sides. This is paired with an all-new laser engraving holographic technology that creates a unique reflective finish. The smartphone also features a new triple-camera layout in the top corner that is aligned vertically and protected by sapphire glass. While on the topic of cameras, it’s worth noting that the primary camera, which sits in the middle, boasts an impressive resolution of 48-megapixels and an f/1.75 aperture. It’s paired with a laser autofocus system and a number of AI enhancements (AI portrait, AI scene detection, steady handheld night photography, and more). Overall, it should result in some pretty big photographic improvements when compared to Xiaomi’s previous flagships. Accompanying this sensor will be an improved 12-megapixel telephoto camera which supports 2x optical zoom and a new 16-megapixel sensor which is coupled with a wide-angle lens, thus giving users the chance to capture much more in their photos. Turning the smartphone over, Xiaomi has implemented some rather drastic design improvements which see the introduction of a new 6.39-inch AMOLED display supplied by Samsung. This panel includes thin side bezels and a slimmer chin. It also boasts a drastically-reduced notch which now resembles a waterdrop and is home to a 20-megapixel front-facing camera. Altogether, the phone sports a very impressive screen-to-body ratio of 90.7%. Unsurprisingly, while the smaller notch is more aesthetically pleasing, it does mean Xiaomi has been forced to remove the 3D facial recognition found on the Mi 8 and Mi 8 Pro due to a lack of room. Nevertheless, the company has included an improved version of its optical in-display fingerprint sensor. Nevertheless, it's still not quite as accurate as the ultrasonic alternatives that will be included in the Galaxy S10 and Galaxy S10+. If the Xiaomi Mi 9 is opened up, Qualcomm’s Snapdragon 855 can be found inside paired with a very respectable 6GB of RAM. This is coupled with 64GB or 128GB of internal storage depending on the buyer's preference. In either case, microSD expansion is supported. Elsewhere inside the device, support for 4G LTE, Bluetooth 5.0, NFC, and an IR Blaster can be found. Additionally, keeping the lights on is a relatively small 3,300mAh battery that supports fast charging (Xiaomi includes an 18W charger inside the box) and wireless charging of up to 20W – the fastest version of this tech we've seen thus far. Lastly, Android 9 Pie complete with the MIUI 10 overlay arrives pre-installed straight out of the box. 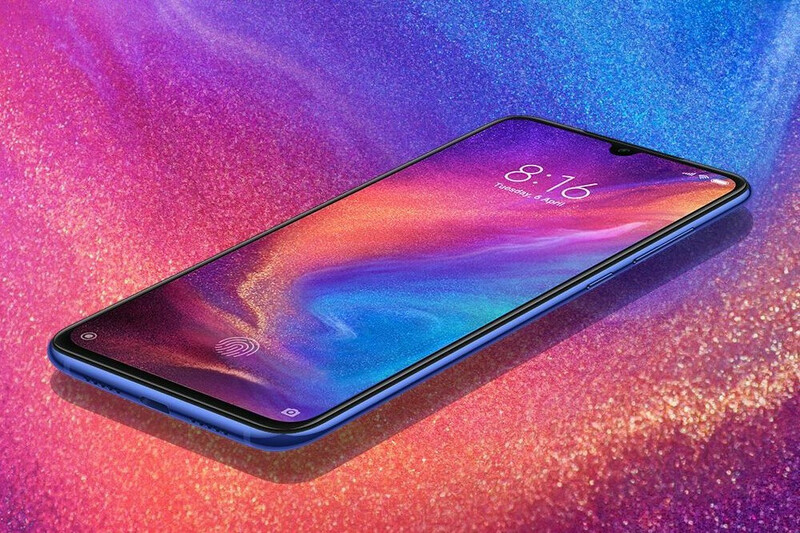 As mentioned in the opening paragraph, the regular Xiaomi Mi 9 is accompanied by a Transparent Edition. 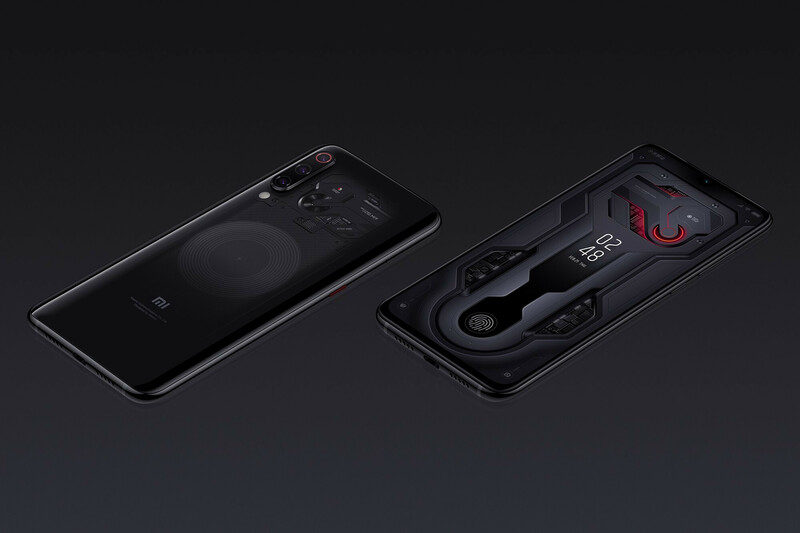 As was the case with the Mi 8 Explorer Edition, the model includes a transparent glass panel on the rear that provides a glimpse at some of the key internals. However, it's worth pointing out that the components on display aren't actually the real ones. In actual fact, it's simply an aluminum plate covering the real, less photogenic parts. Aside from the external changes, Xiaomi has also made some upgrades on the inside. Namely, this model doubles the RAM to 12GB and also boosts the expandable internal storage to 256GB. 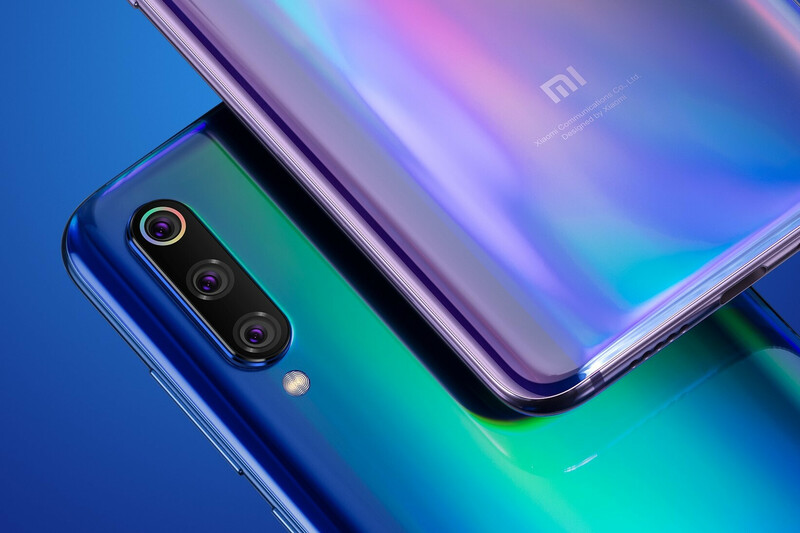 The Xiaomi Mi 9 will retail at 2,999 yuan (~$446) and 3,299 yuan (~$491) for the 6/64GB and 6/128GB models when they go on sale next month. Similarly, the Transparent Edition will cost 3,999 yuan (~$595). Initial availability will be limited to China but the smartphones should eventually make their way to Europe. In fact, Xiaomi will be showcasing the Mi 9 series at MWC next week prior to its global debut. Unfortunately, the US market is unlikely to receive these high-end models. Excellent phone by Xiaomi. There were initial rumors that it would start at $516 for the 4/64 variant which wouldn't have been good. But I'm glad that's not the case. Now what I wanna know is whether any of the back cameras have OIS like the Mi 8....and whether the phone has stereo speakers+splash resistance again like it's predecessor. No optical image stabilization from what we've been told and no stereo speakers. Also no mention of splash resistance, although I'd expect this to be included. Sensor is too big. But CPU handle stabilization very good. What?? Sensor should be big. What's wrong with that? Apparently DxOMark has said it outperforms the Pixel 3XL, which is pretty damn good even if it lacks OIS. Never trust Dxomark. They are a joke. Did anybody notice that it doesn't have OIS on any of the cameras ? Low-light pictures will simply be inferior, no matter what they advertise. Software-doctored pictures are no match for true optical quality. You can't omit OIS on a flagship ! Not what DxOMark say about it though. Scores it higher than the Pixel 3XL. There are those that don't go by DxOMark at all, thinking their reviews are just paid advertising for certain smartphone OEM's, but I'm not one of them. Their reviews are too extensive for that, IMO. I'll take their word for it, but I also want to see some other reviews about the cameras. However, this is great news. And the price is great! Some real bang for your buck here! Mrwhosetheboss posted some pictures, including lowlight ones, and they look stunning. I was mostly surprised by the selfie pictures, the hdr on this phone looks very promising. Look at the GSM Arena full review which is already up. Huge loss of detail in order to remove noise. Physics can't be beaten. It simply use pixel-bining with it's new 48MP sony exmor sensor.. The end result will be 12MP. Yes I did notice. Look at my comment above. Wow, the Mi9 has shaped up to be an amazing smartphone! I need to see some reviews, but I'm pretty certain Xiaomi is definitely getting my money on this one! It will surely will. Xiaomi, at least for now , has very consistent record of providing very decent phones for amazing value. Correcting author " Nevertheless, the company has included an optical in-display fingerprint sensor. These can be found inside the Huawei Mate 20 Pro and OnePlus 6T but aren’t quite as accurate " It has newer improved version of IDF reader so ti's not the same. It also has larger active area for that purpose. Good price~specs for what could be a fine product. The gradient finishing is looking so appealing. But how many people would actually use this without having a case fitted to it? That's the thing about phones nowadays… all shiny and beautiful. It'd need courage bigger than the one that saw the removal of the headphone jack. Why a smaller battery??? Why??? Also: No IPX rating No headphone jack No stereo speaker So many draw backs :( kinda disappointed. No stereo speakers, no 4-axis OIS, no 3D facial recognition. Can't wait to buy this xiaomi mi 9 to slap some google cam app bad boy. Very interesting phone of all ages!! !